Hello Frndzzz.... www.dealsnloot.com Again Back With New PayU Loot. 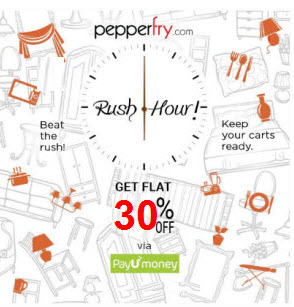 Pepperfry offering 30% cashback upto Rs. 150 when you pay by PayUMoney wallet till 10th Sep 2015. How To Signup at PayUMoney ? 2. Now Enter your Name, Email, Mobile number etc. 3. Now Verify your Email and mobile number.